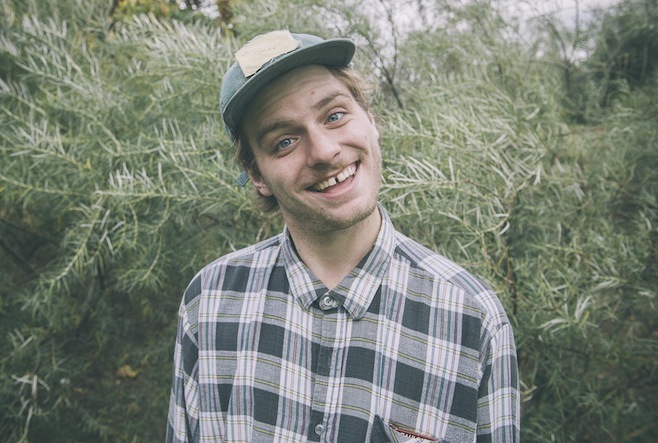 This is Mac Demarco. A Canadian singer songwriter who is a best a complex character. But that is the appeal of wonder of the guy and it is this off beat nature that he applies to his performances, music and promotion. A recent ode to this was the release of the video to his single ‘Chamber of Relfection’ from his third studio album ‘Salad Days’. His second under the guise of Mac Demarco. Of the track he spoke of the freemasonry references and how it likened to being in his studio and spending his days in there, saying “It was actually therapeutic. I feel a little enlightened, a little less heavy.” In the video, the track has been set to a speed two times slower than the speed it was recorded. Played at normal speed, the track is rich and undulating synth soaking. Drenched in hovering organ sounds, a low lying bass line and distorted percussion from which the main synth melodies slide off with their warping and whirling rustic nature. It’s a track cut from the same mould of Connan Mockasin’s most recent work, but one that is delivered so well and with such individuality that it works. The rich, soaking feel of the track is only double in the slow speed version too. Both work and both fit in to the mind-set of Mac Demarco.